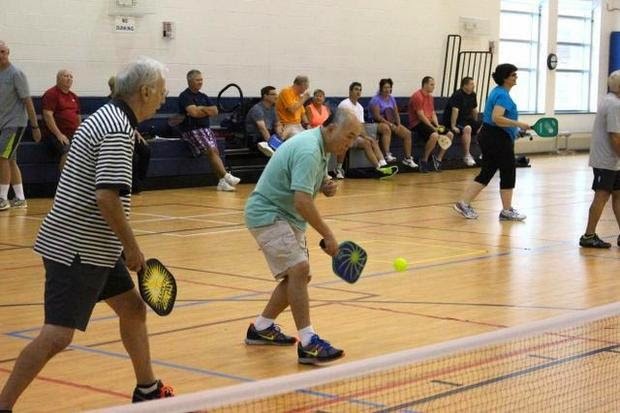 CARY — Four players stood in the gymnasium of the Brier Creek Community Center in Raleigh, equipped with large paddles and a neon ball as holey as Swiss cheese. The players lobbed the ball back and forth over a net. They carefully avoided the “kitchen,” a small rectangle near the net that’s off limits. Was this a large-scale game of ping pong or a weird form of badminton? Maybe some sort of tennis match?